Place a paper towel onto a large plate and have several other paper towels ready. Place a handful of tortilla triangles into the hot oil, in a single layer. Use metal tongs or a metal slotted spoon to distribute the tortilla triangles so that they aren't overlapping and so that all sides get coated with oil. Fry for approximately 2 minutes until the chips just begin to color and they are firm. Lay the tortilla chips on a cookie sheet. Toss together the cheese, chilies, and onion and other product, and sprinkle over the tortilla chips. You can also add them after baking (except cheese). Bake for about 5 minutes, until the cheese has melted. 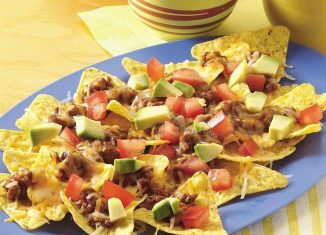 Nachos can be served hot or cold, they are a fantastic appetizer. Sprinkle with the chopped coriander, it adds a great final touch. If desired, add the green and red jalapenos over the nachos but do serve them in separate dishes as some people will not want the hot chilies. 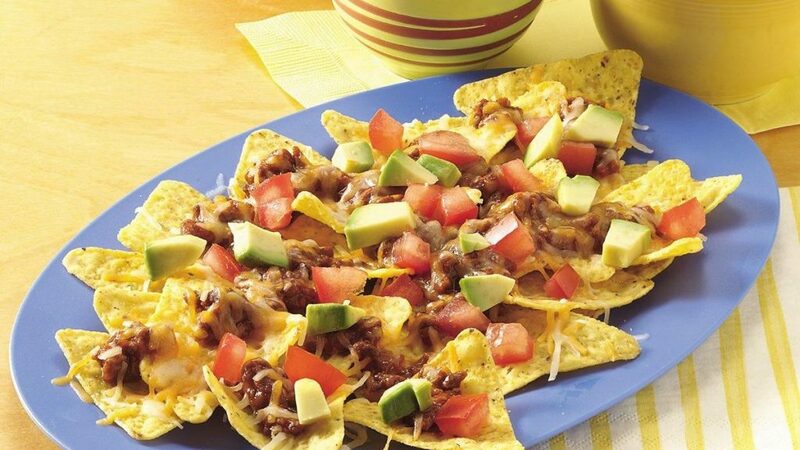 This is a great nachos recipe, easy to make and always very successful with your guests!